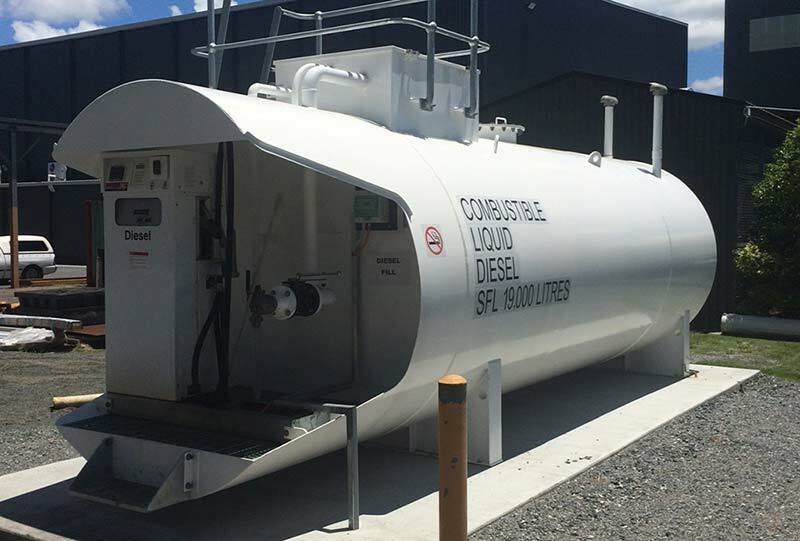 The Double Wall “Self Bunded” Storage Tank offers a relocatable cylindrical tank which provides maximum structural design to handle ever increasing pumping rates. The Self Bunded range minimises the requirements for civil works with onsite bunds together with the problems associated with catchment and disposal of rain water. Self Bunded tanks which comply with AS1940, Section 5.9 also provide overfill protection in the form of mechanical or electronic cut off. This tank also includes an audible overfill alarm to warn the delivery driver in advance. Our Self Bunded range also includes a fire rated ball valve and emergency venting where applicable.